Study trips to destinations like London, Brussels, and Sarajevo offer the opportunity to visit institutions and employers across Europe. The program equips concentrators to analyze what is happening in contemporary Europe and Eurasia, including Russia, and to understand the region's role in the world. Concentrators analyze the trends, events, and ideas that have shaped today's Europe and Eurasia. Students engage in the study of modern European and Eurasian history, political economy and current affairs. The program equips concentrators to analyze not only what is happening in the European Union and its member states, but also on other nations in Eastern Europe and Eurasia, including Russia, the Caucasus, and Central Asia and to understand the region's role in the world. Students may begin the EES program in either Bologna or Washington, DC. The program differs from other concentrations at the school because it does not have any required coursework. Students work with their program advisor and members of the senior faculty to design a course of study to prepare for three comprehensive exams that must be completed to meet the degree requirements. EES concentrators complete a program capstone by reporting on their summer internship experience or conducting an oral examination with members of the senior faculty. EES & MES students visited the Botanical Gardens of Kuala Lumpur during a Spring Break 2017 study trip to Malaysia to learn about Islamic finance. EES & MES students with EES Director and Prof. Erik Jones at the Islamic Financial Services Board in Kuala Lumpur, Malaysia. Window view at the SAIS Europe campus in Bologna, Italy (Fall 2017). Shared by a current EES student. In May 2016, EES hosted a visit by NATO PA delegation to the school for talks with Dean Vali Nasr, EES Prof Christopher Chivvis, and students on security challenges. Members of the EES class of 2016 at the school's Commencement Reception. The Russia-Eurasia Club visited Ambassador Kadyr Toktogulov at the Kyrgyz Embassy in April 2016. EES students in Washington discussing transnational interest groups and national democracies with EES students in SAIS Europe via videoteleconference during a trans-atlantic research seminar lecture in Spring 2016. The Vienna Ball is a popular event for EES students in Bologna and several attend every year. EES students in Brussels for summer 2015 internships. Pictured with SAIS Europe Prof. Fillippo Taddei at an AmCham EU event. EES students Vincenz Klemm, Brian Fox, Marko Grujicic, and Tine Carmelit, along with fellow SAIS students Sandra Zuniga and Kira Gartzou-Katsouyanni at the 2015 European Student Conference at Yale University. The annual EES Spring Welcome Brunch provides students, faculty, and staff a great opportunity to reconnect after the winter break. EES Students with Jose Maria Aznar, former President of the Government of Spain. EES Students and Faculty enjoying the annual EES Spring Semester Brunch. Brussels, Bucharest or Bologna? Madrid, Milan or Moscow? London, Luxembourg, Warsaw or Zagreb? Which of these cities will be your summer internship destination? The unique Johns Hopkins SAIS model of providing a trans-Atlantic education means that students have the opportunity to study international relations first from a European perspective in Bologna and then from an American one in Washington DC One of the goals of the school's European and Eurasian Studies Program in particular is to provide a “third country experience” during the summer between the first and second years of the program, allowing concentrators to experience living and working in their region of study. This year the program has secured over 50 internship positions across the region in policy research, public affairs consulting, international business development, financial and macroeconomic analysis, political movements and more. Opportunities are specifically designed for students and offer a content-rich experience with senior-level mentors. Applications are open to MA, MAIA and MIPP candidates of all years and concentrations on all three campuses. Priority is given to first-year students in the EES program, though graduating students interested in working in the region are also considered since summer “exit-internships” are often a way to get a foot on the vieux continent. All recruiting is done through Handshake. Questions may be directed to Cristina Benitez, EES Academic Manager at cristina.benitez@jhu.edu. Students in this seminar conducted between Bologna and Washington via video conference develop an original question and make a scholarly contribution to the field. MA and PhD candidates learn research methods, analyze a current issue in the region and present their work during an authors’ workshop with program faculty. 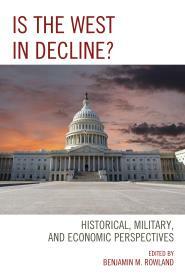 The EES Distinguished Lecture Series in Washington is hosted by EES faculty and Author-in-Residence, James Mann. The series features global leaders and experts of the region. Lectures are held on select Tuesday evenings and open to the school's community and the public. RSVP for upcoming events at eesdistinguishedlectures.com. The Russia/Eurasia Forum meets bi-weekly and is hosted by Professor Bruce Parrott. Experts from around the Washington, DC area give presentations on topics ranging from Religion in Contemporary Russian Politics, the Global Revolution in Natural Gas, to the changing relationship between Europe and Russia. Lectures are open to the school's community and the public. RSVP for upcoming events at RESforum.eventbrite.com. Students have the opportunity to gather at this informal seminar led by Professor Charles Gati, and discuss current events in a relaxed and friendly atmosphere. The seminar also provides students with the opportunity to present current research and receive feedback from both faculty and their peers. Current Events seminars are open to all Johns Hopkins SAIS Washington students and are held on select Wednesdays, 12:30-1:45pm. Contact Cristina Benitez, cristina.benitez@jhu.edu, for more information. EES organizes evening seminars at SAIS Europe as part of the faculty research seminar series. The events provide unique opportunities for students to interact with visiting scholars and practioners from across Europe in an informal setting. Recent series themes include "Europe's Security Challenges", "New Trends in Central Banking and Finance", and "Profits & Politics: Business-State Relations in the Wider Europe." The 2016-2017 series on "Understanding the New Europe" is co-hosted by our EES Director, Erik Jones, and Associate Professor of International Political Economy, Matthias Matthijs. The BIPR is the research division of SAIS Europe. Its purpose is to promote problem-centered, interdisciplinary research in international policy by drawing upon the global network of Johns Hopkins SAIS faculty, students and scholars. The work of the BIPR is made available to the public with the goal of providing a pivotal forum for thought and debate in international public policy. BIPR employs student research assistants each semester to manage its event reports program and disseminate content from the faculty research seminar series to the wider policy community. Students working on BIPR have been key contributors to a number of promotional projects at SAIS Europe, including the launch of faculty-authored books. The CCSDD is a research partnership between SAIS Europe and the School of Law at the University of Bologna. The CCSDD conducts research and training in the field of comparative constitutional law, focusing on countries undergoing a process of democratic transition. Through conferences, workshops, publications, summer schools, study trips, and speaker series, the CCSDD addresses issues of civil society development and legal reform. The Center's current research focuses on EU enlargement, contemporary political and constitutional transformations in North Africa, the role of constitutional courts in Central Asia, as well as electoral management bodies. Each year, the CCSDD conducts a number of programs including the "European Union and Legal Reform" Summer School in Montenegro, the Sarajevo Study Trip, and the CCSDD Lecture Series. SAIS Europe students are hired as interns to work on research and teaching-related projects. MA students concentrating in European and Eurasian Studies design their own program of study to achieve fixed learning outcomes as set out in the program syllabus. These learning outcomes are evaluated in three comprehensive exams (in lieu of the Core exam requirement). The concentration does not have any required courses, but does require a program capstone. Candidates work with their program adviser and senior faculty to plan courses and independent readings that will prepare them for the comprehensive exams. European and Eurasian Studies concentrators who choose the Russia and Eurasia track within the concentration complete Comprehensive Exam III in this area and must achieve proficiency in Russian language. The EES Curriculum Matrix includes recommended European and Eurasian Studies courses. Comprehensive exams are given three to four times per year on both campuses and are graded as pass/fail. Exams may be taken multiple times without penalty. The European and Eurasian Studies comprehensive exams are based on the EES syllabus which sets out the topics and offers a bibliography for each written exam. The purpose of this examination is to expose EES concentrators to a broad interpretative framework for understanding the formation and evolution of the international systems of states. Students without a strong background in European history should take or audit the specialized history core course, Evolution of the International System. Students usually take this exam after their first or second semester, depending on their campus of study. The purpose of this examination is to make sure that students understand the essentials of governance – including economic governance – across the region. This exam encompasses the domestic political economies of the four major Western European nation states, the European Union and European integration generally, the problems of transition in Central and Eastern Europe—including Russia, and Europe’s relations with the US and global economies. Candidates take this exam before or after their third semester. This comprehensive examination covers the relationship between European countries and the outside world. That relationship is both country-specific and regional. This exam has three different elements. The first concerns the international political economy, which is arguably where Europe is most influential. The second looks at the regional dimension of Europe’s relations with the outside world, and draws on the history of the North Atlantic Treaty Organization (NATO) as well as the European Union. The third focuses on the comparative foreign policies of European countries. Students usually take Comp III at the end of their third of forth semester. This comprehensive exam is designed for students in the Russia and Eurasia track. It covers the rise and fall of communism in Russia and Eurasia and allows students to focus on two of the following sub-areas: Post-Communist Politics, Post-Communist Economies, Post-Communist National Identities and Ethnic Relations, Post-Communist Civil Societies, and Post-Communist Foreign and Security Policies. Students usually take Comp III at the end of their third of fourth semester. Internship and Report. An 8-12 week summer internship between the first and second year of study, relevant to program course work. Those who complete an internship secured by the EES program are automatically approved for the report option. Those who complete internships outside the EES program should first send a note to Associate Director for approval. The report should be 2000 Words in length, include a photo and present: 1) the content of the internship; 2) how your first year at Johns Hopkins SAIS prepared you for the experience; and 3) how the internship aided in your academic or potential career choices. European and Eurasian Studies Oral Exam. Candidates submit, in advance, a brief paper with a topic they are prepared to discuss. It should feature a contemporary issue in the region, in light of its historical, institutional, political and economic settings. Participation in the non-credit current events seminar and at the various lectures on contemporary political and economic issues is a good way to prepare for the oral exam. European and Eurasian Studies concentrators do not need to complete any Core courses or exams, but must pass the three program comprehensive exams instead. European and Eurasian Studies concentrators must demonstrate proficiency in French, German, Italian, Portuguese, Russian, or Spanish. Students in the Russia and Eurasia track must demonstrate proficiency in Russian. Native speakers of a French, German, Italian, Portuguese, Russian (if in the Russia and Eurasia track), or Spanish must demonstrate proficiency in any other language taught at SAIS, which can include English. Those students are encouraged to study another modern European language. Beyond proficiency, students may also pursue additional European language studies at Georgetown University free of charge in Advanced German, Advanced Italian, Polish, Turkish and Ukrainian.Polish, Turkish and Ukrainian may not be used toward proficiency requirements. *SA.100.771 Evolution of the International System and SA.100.750 Comparative Politics may not be used to fulfill minor requirements. Concentrators analyze the trends, events and ideas that have shaped today's Europe and Eurasia. They discover the essentials of governance, including economic governance, focusing on individual states as well as institutions of the European Union. The EES program is designed to ensure that concentrators have sufficient depth of knowledge in European and Eurasian Studies. Two of the comprehensive exams cover much the same material that you would find in the school's Core examinations on ‘Evolution of the International System’ and ‘Comparative National Systems’. Hence, by passing the comprehensive examinations, EES concentrators meet the school's core requirement. The EES program is also designed to enhance cross-cultural communication. All students must demonstrate proficiency in a modern European language. Once students achieve proficiency in one language, they are encouraged to deepen their knowledge through post-proficiency study or to broaden their exposure by taking up another language. The EES program encourages specialization. This can take place on an individual basis through participation in the European and Eurasian Research Seminar. It can also take place on a sub-regional basis by focusing attention on different parts of Europe. Within this framework, it is possible to follow a Russian and Eurasian Studies “track” and have this noted on your transcript. Students who choose this track will need to demonstrate proficiency in Russian. The first part of this course covers the evolution of EU "foreign policy" over the years and covers the complex institutional machinery which has changed significantly since the Lisbon Treaty has entered into force in late 2009. Attention will also be paid to the various facets of "external" action by the Union, well beyond foreign policy proper. The second part will focus on specific areas, regions, and cases in EU foreign policy, in order to allow the students to follow/develop their own interests. A conclusive session will assess the EU's international role and make educated guesses and normative assumptions about its future. This class provides students with unique insight into domestic politics and foreign policy through the lens of popular culture. Engaging a range of various forms of expression as entertainment commodity, we consider pop culture as a nontraditional data course, as an empirical window onto heated debates to which we otherwise wouldn't have access. During the course we consider perspectives on societal tensions, economic inequality, governmental repression, and foreign military operations but through the vernacular forum of films, novels, and music rather than political science articles and history textbooks. We examine how regimes use pop culture as a means not just of placating and distracting the masses as did the Romans with bread and circus, but as a social engineering tool for creating, shaping, and policing the ideal citizen. To counter this, we also investigate opposition actors' creative uses of pop culture to subvert the authority of repressive regimes, to mobilize individuals (particularly youth) around catchy themes - think Game of Thrones "Winter is Coming" protest memes - and to imbue their movements with spirit and a collective identity of resistance. In first half of the course the professor will present students with research tools for "reading" politics through pop culture to capture and analyze these relationships. The political content of the course we will "read" through forms as varied as cooking shows and soccer matches draws heavily from the professor's expertise on Turkey - delving into issues such as the Kurdish and Armenian questions, military coups, the contested role of Islam in the public sphere, and Turkey's forays in its multiple neighborhoods - but will include multiple other European case examples as well with guest lecture experts. In the second half of the course, students develop, present, and refine their own research project on the intersection of pop culture and politics in a case of their choice in Turkey or elsewhere in Europe. This course provides an introduction to the economic and political integration of the European Community and the European Union and its institutions. Originally designed as a simple economic arrangement, the evolution and expansion of the European Union represents an unprecedented attempt at supranational integration that has resulted in a body of institutions that exert profound influence in global economic and political affairs. The material covered in the class will consist of a blend of the historical context, the key ideas, events and unintended consequences that illuminate and inform various competing theoretical paradigms that try to explain Europe’s dramatic transformation. This course is about the political economy of European integration and disintegration. The goal is to help students understand how European came together and why it might be falling apart. The approach is both historical and theoretical. Students will come away having familiarity with the broad narrative of the integration process, a general understanding of the roles played by key individuals and participating countries, and a clear sense of the challenges Europe faces today. Students will also be exposed to the main theoretical approaches used by economists and political scientists to explain the dynamics underlying the integration process, where those theoretical traditions have come up short, and how we might improve our basic understanding. Finally, students will acquire sufficient background and familiarity to understand and assess current debates about the future of the European project and the relationship between the progress of European integration and the future of the European nation state. We appreciate the engagement of our alumni. Follow us on social media for the latest program updates and opportunities to engage. Join our EES alumni listserve via this form or email cristina.benitez@jhu.edu and provide your name, year of graduation and current affiliation. EES Adjunct Professor Christopher Chivvis of the RAND International Security and Defense Policy Center discusses France's recent intervention in Mali and offers insight on strategic lessons. In January 2013, France intervened in its former African colony, Mali, to stop an Al Qa'ida advance on the capital. French special forces, warplanes, and army units struck with rapid and unexpected force. Their intervention quickly repelled the jihadist advance and soon the terrorists had been chased from their safe haven in Mali's desolate North - an impressive accomplishment. Although there have been many books on the US wars in Iraq and Afghanistan, there are almost none on the recent military interventions of America's allies. Because it was quick, effective, and relatively low cost, the story contains valuable lessons for future strategy. 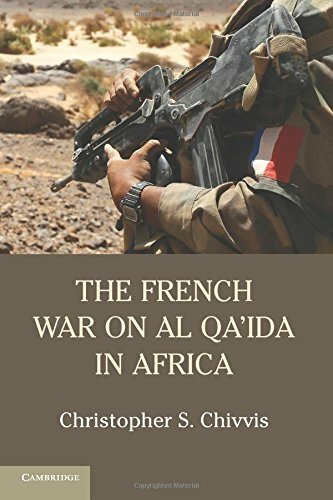 Based on exclusive interviews with high-level civilian and military officials in Paris, Washington and Bamako, this book offers a fast-paced, concise, strategic overview of this war. As terrorist groups proliferate across North Africa, what France accomplished in Mali should be a key reference point for national security experts. The Oxford Handbook of Italian Politics provides a comprehensive look at the political life of one of Europe's most exciting and turbulent democracies. Under the hegemonic influence of Christian Democracy in the early post-World War II decades, Italy went through a period of rapid growth and political transformation. In part this resulted in tumult and a crisis of governability; however, it also gave rise to innovation in the form of Eurocommunism and new forms of political accommodation. The great strength of Italy lay in its constitution; its great weakness lay in certain legacies of the past. Organized crime - popularly but not exclusively associated with the mafia - is one example. A self-contained and well entrenched 'caste' of political and economic elites is another. These weaknesses became apparent in the breakdown of political order in the late 1980s and early 1990s. This ushered in a combination of populist political mobilization and experimentation with electoral systems design, and the result has been more evolutionary than transformative. Italian politics today is different from what it was during the immediate post-World War II period, but it still shows many of the influences of the past. Is the West in Decline? is a collection of ten essays by prominent scholars of international relations and current history, many of them associated with the European Studies program of the Johns Hopkins School of Advanced International Studies. Is the West in Decline? is a collection of ten essays by prominent scholars of international relations and current history, many of them associated with the European Studies program of the Johns Hopkins School of Advanced International Studies. The essays explore the question of decline from several perspectives: theoretical, historical, counterfactual, and contemporary. Thomas Row’s essay uses alternative history to show how an unfallen Habsburg Empire might have evolved into a state system resembling the European Union. Benjamin Rowland’s essay on Oswald Spengler considers how the German historian’s theory of decline could be applied to the West today. Several of the essays are country studies. Not all conclude that countries or state systems are in decline, or that the condition, if present, is irreversible. Writing about Germany, Stephen Szabo notes that only fifteen years ago, this currently robust country could have been seen as a clear exemplar of decline. Dana Allin’s essay on the U.S. asks whether a course change, including retrenchment and overseas rebalancing, might reverse decline or eliminate it altogether. David Calleo’s essay, among other things, looks at America’s reserve currency status as a principal sustainer of American exceptionalism, and asks what might happen should the US lose its “exorbitant privilege” as reserve currency provider to the international system. EES Professor Charles Gati discusses Zbigniew Brzezinski’s multifaceted career dealing with US security and foreign policy. Zbigniew Brzezinski’s multifaceted career dealing with US security and foreign policy led him from the halls of academia to multiple terms in public service, including a stint as President Jimmy Carter’s National Security Advisor from 1977 to 1981. He was a renowned policy analyst and author who frequently appears as a commentator on popular talk shows, and his strategic vision continues to carry a great deal of gravitas. In Zbig, Charles Gati has enlisted many of the top foreign policy players of the past thirty years to reflect on and analyze Brzezinski and his work. A senior scholar in Eastern European and Russian studies, Gati observed firsthand much of the history and politics surrounding Brzezinski’s career. His vibrant introduction and concluding interview with Brzezinski frame this critical assessment of a major statesman’s accomplishments. "Corporate Raiding in Ukraine: Causes, Methods, and Consequences"
Adjunct Professor Matthew Rojansky's field research in Ukraine sheds light on the history, causes and methodologies of corporate raiding, as well as on the costs and consequences of raiding for Ukraine's further development. Abstract: Corporate raiding in Ukraine is a widely discussed and reported problem that severely damages investment and economic development, prospects for European integration, and the welfare of ordinary people. Yet the phenomenon of raiding itself is only poorly understood, often either dismissed as inseparable from the country's broader problem of endemic corruption, or imputed to powerful and shadowy raiders thought to be immune from defensive measures by private businesses. The author's field research in Ukraine sheds light on the history, causes and methodologies of raiding, as well as on the costs and consequences of raiding for Ukraine's further development. Click here for the full PDF, courtesy of George Washington University's Institute for European, Russian, and Eurasian Studies. 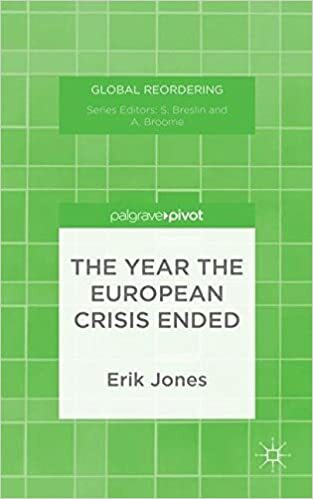 EES Director and Professor Erik Jones discusses the end of the European crisis from the June 2012 European Council summit through the bailout of Cyprus. T he European crisis came to an end when first political leaders and then the European Central Bank promised to do whatever it takes to safeguard the euro. Specifically they committed to creating a European banking union and to buy unlimited amounts of sovereign debt in distressed markets for governments that made a binding commitment to reform. Markets were initially skeptical and yet ultimately persuaded by the commitment of European elites. Events in Italy and Cyprus threatened to return Europe to crisis and yet were ultimately managed without major turmoil. Somewhere along the way, however, the desire of European elites to do whatever is necessary began to waver and their commitment to banking union diminished. The European crisis has ended but Europe is not yet resilient enough to ensure that it will not recur. Edited by Ronald Tiersky and Erik Jones, Europe Today offers a range of perspectives on the process of European integration, the evolution of economic performance, the spread of judicial authority, and the reaction to multiculturalism and immigration. Now in its fifth edition, Europe Today presents unrivaled coverage of developments in major European countries across the region. Thoroughly revised and updated - with a new introduction and an added chapter on Spain - this is the only work that offers a sustained and unified set of both country case studies and thematic chapters on the European Union. Written by leading scholars from Europe and North America, the book offers a range of perspectives on the process of European integration, the evolution of economic performance, the spread of judicial authority, and the reaction to multiculturalism and immigration. Highlighting the impact of the global economic crisis and the struggle to assert Europe's voice more widely, the contributors provide a cosmopolitan and pragmatic assessment of what Europeans have accomplished and what challenges they continue to face. Each chapter builds on a foundation of basic political information and explanation to develop distinctive and thought-provoking contributions to current debates. A book that informs but also engages, this comprehensive text will lead readers toward a coherent and informed view of Europe today. EES Professor Christopher Chivvis discusses the role of the United States and NATO in Libya's war of liberation and its lessons for future military interventions. Based on extensive interviews within the US government, this book recounts the story of how the United States and its European allies went to war against Muammar Qaddafi in 2011, why they won the war, and what the implications for NATO, Europe, and Libya will be. This was a war that few saw coming, and many worried would go badly awry, but in the end the Qaddafi regime fell and a new era in Libya's history dawned. Whether this is the kind of intervention that can be repeated, however, remains an open question – as does Libya's future and that of its neighbors. A collection of papers from a Conference in honor of Professor David P. Calleo. In October 2012 a group of friends, colleagues and former students gathered in Bologna, Italy to honor David P. Calleo for his accomplishments, partake of his wisdom and special company, and as the papers published here demonstrate, to reflect on and discuss his ideas. The title of the conference, and of this collection of papers, comes from a letter written by David, and captures something essential about his approach: a belief in the importance of the creative political imagination, a temperamental optimism, and an impatience with unreasonable ideas and clichés. David P. Calleo is Dean Acheson Professor of European Studies at Johns Hopkins SAIS and University Professor of the Johns Hopkins University. He entered Yale at age sixteen receiving his BA in 1955 and PhD in 1959. He founded (in 1968) and directed (until 2012) the preeminent American graduate program for the study of contemporary Europe and shepherded some forty doctoral dissertations to their successful completion. SAIS European Studies (now European and Eurasian Studies) has formed hundreds of professionals working today in government, business, academia, and the press.